> There are many ways to handle this, and no essential barriers to them being widely adopted. 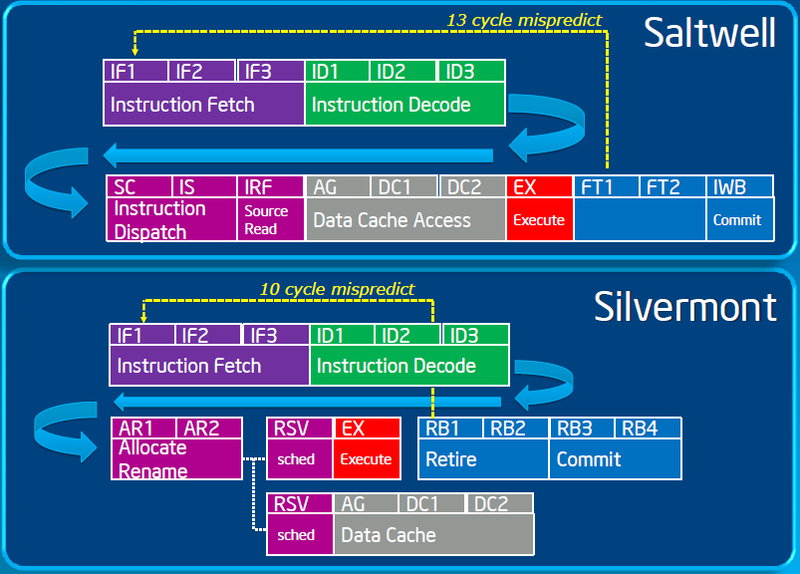 > The basic idea is already apparent in Intel's SMB/SMI architecture. > and is not constrained by the standardization and commodity aspects of the DIMM bus. This is certainly one way to do it. The challenge is that those buffers take power, which is supposed to be the big advantage of an ARM SoC. I'd wager that using fully buffered memory would eat up any potential power gains and possibly reverse them. IIRC, buffers take something like 2W...which is a very large percentage of the power of an A15 core.